Parkson Corporation is pleased to announce that Rob Berry will be joining the company as its Vice President, Engineering, Supply Chain and R&D effective immediately. Mr. Berry will be based out of our Fort Lauderdale head office. In this new role, Mr. Berry will oversee the production and project engineering teams, as well as, supply chain management for the consolidated organization. In addition, his leadership of Parkson’s research and development function will include honing the company’s processes related to product design, development and innovation and cover management of external engineering resources. Prior to his role at Parkson, Mr. Berry owned his own business that specialized in leadership training and development. Before that, he was a senior vice president for global technology and services at Cold Jet, LLC where he was primarily responsible for leading their technology, product innovation and project management functions. 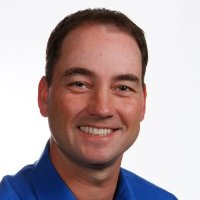 Rob also has over 25 years of leadership experience in engineering, supply chain and operational roles spanning industries that include plastics, healthcare, construction, and industrial machinery with both large corporations like General Electric and small privately-owned companies. A certified Six Sigma Master Black Belt, Rob earned his BASc with honors in Chemical Engineering from the University of Waterloo and his MBA from the University of Phoenix. Parkson Corporation, with offices in Fort Lauderdale, FL; Golden, CO; Chicago, IL; Kansas City, MO; and Dubai, UAE, is a supplier of equipment and solutions for potable water, process water, and industrial and municipal wastewater applications. Parkson designs, engineers, and assembles the products it sells into the municipal wastewater and industrial wastewater segments. The company was founded in 1960 and has been owned by Axel Johnson Inc. since 1967.